NEW YORK, NY (Dec. 6, 2018) – Active Staffing Services, a regional leader in light industrial and office services staffing, has named Nicolino “Nick” Lisio director of safety and risk. Lisio joins the company at a time of rapid growth and geographic expansion. Lisio will lead development of the company’s compliance and safety programs, including emergency action plans and compliance with OSHA regulations. As a member of Active’s leadership team, he will oversee efforts to reduce risk exposure and expense across the company. He will also work with Active’s clients doing onsite safety assessments to ensure every employee is safe at work. Lisio has more than two decades of experience in safety and risk prevention, in both the light industrial and public sectors. Prior to joining Active, he was regional safety director for Anheuser-Busch InBev and worked for five years as director of risk management and safety for Logan Bus Companies. He served as a crime prevention officer for the New York Police Department for 14 years before retiring in 2011. Lisio earned a bachelor’s degree in emergency management from Empire State College. 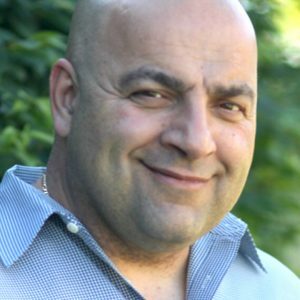 He is a licensed New York state insurance broker and a Certified Safety Consultant (CSC). He will be based at Active’s headquarters office in Manhattan. Active Staffing Services was founded more than 70 years ago and has been providing better talent and faster hires to the light industrial and office services marketplace ever since. The company continuously evolved over the years and is proud of its modern, tech-savvy approach to staffing. Active takes seriously its promise to help its employees improve their lives through meaningful work and to help its clients grow by providing the workforce they need to succeed. Based in New York, Active is expanding with offices in the NY Metro area, New Jersey, Florida and Texas. For more information, visit online at activestaffing.com. Star Baccari, Marketing Director, Aspen, Inc.